I like the Cordel Defence below because it is an active chess defense, not very often played and it goes right to the point. You get your pieces out fast and you don't waste time with the typical spanish pawn move a6. The Classical Defence is called sometimes Cordel Defence. 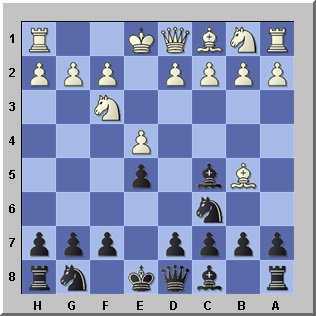 It is characterized by the move 3...Bc5 which is a very old defence move in the Ruy Lopez (spanish opening). It is not played very often, but this defence can be considered stable as the bishop on c5 is very well placed in the center and pressures the square on f2. White answers normally with 4.c3 or castles 4.0-0 first and plays 5.c3 later. The usual play is 4.c3 Nf6 5.0-0 0-0 6.d4 Bb6 called the Benelux Variation. Black should try the unusual 4...Qf6 instead of 4...Nf6 as 4...Qf6 is a move which has been neglected in tournament play and is played rarely, but should not be underestimated at all. I admit, that I am a fan of it. You can replay games of the Qf6 Variation and decide for yourself if you like it or not. One thing is sure, almost nobody knows it and you can specialize on it and make points with it. On top of that it can easily be memorized as it is very straightforward.